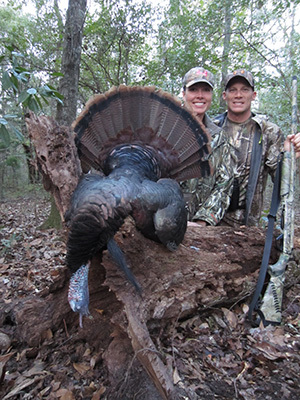 Whether you are an avid hunter or you've never chased a Turkey before, time is your most valuable commodity. Jeff has mastered the Single Season Grand Slam with 2 five day trips to minimize your time off and away from your other priorities, as well as all of the expenses associated with those 2 extra trips. 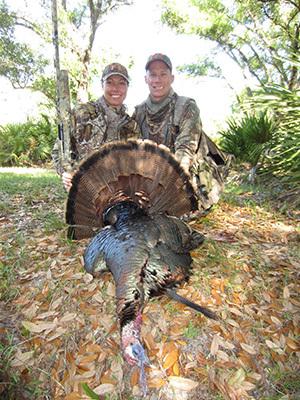 Jeff will take you on a 5 day trip in late March for your Central Florida Osceola and then head just hours North to SE Georgia for your Eastern. You will then take a month off before heading to Denver for your next hunt. You will be picked up in Denver and head North to South Dakota for your Merriam. Once tagged out, we will drive South to NW Kansas for your final bird the Rio. When your Grand Slam is completed, we will drive back to Denver for your flight home. There are only a few of these Single Season Grand Slam hunts a spring available, so hurry up and book your hunt now in order to get this bucket list item checked off! you will never forget a Spring in the woods with Jeff.